Your NUU Mobile G3 comes equipped with a bunch of cool communication programs developed by Android. One of those apps lets you transfer data between phones just by bumping them together. Called Near Field Communications (NFC), the technology lets your Android-equipped cellphone capture signals from another device that’s close by. You can find NFC on Android-based phones, point-of-service terminals and special NFC-activated smart tags. Similar to Wi-Fi or Bluetooth, the NFC wireless transfer application is a quick and efficient way to share information using your G3 smartphone. And with the G3’s recent upgrade to Android™ Oreo™, you can now do this faster than ever before! With a simple swipe or tap, you can transfer money to another person’s bank account, accept payment from someone’s bank account, settle your purchase at the cash register or automatically switch your phone to work mode. Once you get used to using NFC, you’ll wonder how you ever lived without it. Google NFC uses Android Beam to wirelessly transfer payments between devices. By just holding your phone a couple inches from another active NFC device, you can send or receive information with just a tap. Hold your device within two inches of another phone, or a cash register, and tap it to initiate payment. To receive payment, you just hold your phone near the phone of the person paying. An alert will flash on your screen to tell you the payment has been received. Use Android Beam to exchange information between your phone and a point-of-sale device, such as the grocery store cash register. To use your phone to make pay bills and debts, download Google Pay from Google Play. To activate Android Beam on your G3 smartphone, go to Settings>More and tap the NFC switch to turn on the program. NFC smart tags are made of paper or plastic, with a sticky backing to make them adhere to surfaces. NFC tags contain a small memory chip, along with a radio chip and an antenna. An NFC tag draws power from the device used to read it. The tag holds specific instructions that can be transmitted to your phone. The coding inside NFC tags ranges from complex to simple. Complex instructions feature encrypted mathematics, while simple tags use basic read-and-write technology. To write NFC tags for yourself, you’ll need to download a tag-writing app, such as NFC TagWriter or NCF Tools from Google Play. 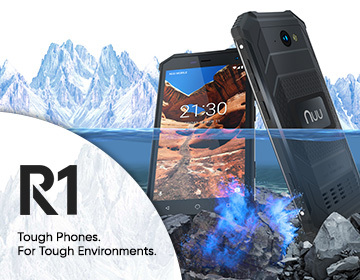 NUU Mobile specializes in high-quality, budget-friendly smartphones that meet the demands of your life. The G3 unlocked smartphone, now powered by Android™ Oreo™, is the perfect combination of beautiful design and high-quality features, and its shimmering color instantly becomes a conversation piece every time you use it. To learn more, check it out at nuumobile.com. When is the Update to Oreo 8.0 available for UK Owners ?? ?